Denver, Colorado Armstrong Steel is pleased to become the title sponsor for the SRAC (Sports Riders Association of Colorado) 2015 event line-up. 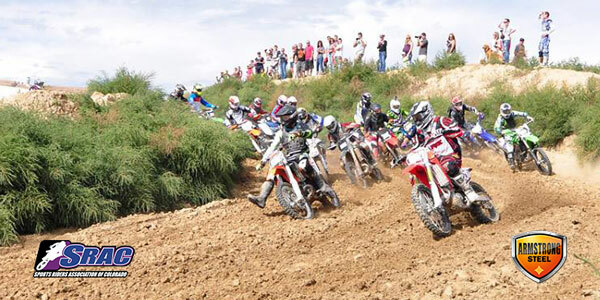 The SRAC is comprised of Motocross and Supercross riders from Colorado and surrounding states and begins its season of races in March of 2015. “The title sponsorship accomplishes two things for Armstrong Steel,” says Eric Beavers, Vice-President and Chief Operating Officer of Armstrong Steel. 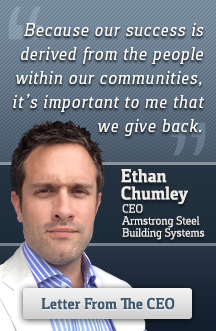 “We get a chance to expose the Armstrong brand to people who may need a steel building, but more than that, we’re supporting an organization from our home state which promotes team work, skill, and pushing beyond personal limits. These are all qualities embodied by our company.” The events take place throughout the Denver metro area and extend throughout the region; from Pueblo to Alamosa to Cheyenne, Wyoming. The SRAC 2015 Series - Brought to you by Armstrong Steel partnership is the latest effort in a tradition of non-traditional support the company has offered to organizations throughout its history. In 2014, Armstrong Steel organized what is believed to be the largest ‘Ice Bucket Challenge’ benefitting ALS Research and regularly supports teams and events for charity through Armstrong United, the company’s philanthropic division.